Moto G dual SIM models allow you to use two SIM cards. Moto G's dual-standby, not dual-active, may be confusing if you want to use two SIM cards simultaneously . Update: if you want to make both SIM cards available at all times in dual SIM version of Moto G (all Moto G generations) so that you will not miss any calls (even when you are talking over one SIM card) , you may follow this guide to set up call forwarding and call waiting. In some regions, Moto G supports dual SIM cards. In other words, you can use up to two SIM cards simultaneously. But Moto G dual SIM (and Moto E, Moto X and Moto Z) phones are dual standby, NOT dual active. Please refer to this dual SIM Android phone guide on differences between dual standby and dual active in dual SIM phones. For correct SIM card size for Moto G (Moto E and Moto X as well) and how to insert SIM card into Moto G, please check this guide. 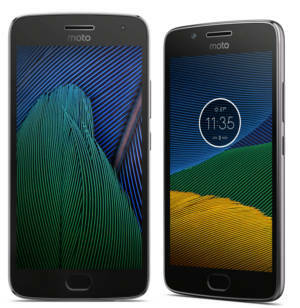 How to access Moto G dual SIM settings? 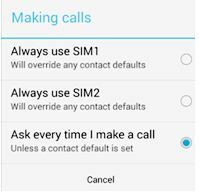 All the settings related to Moto G dual SIM cards can be accessed through Settings— Dual SIM settings. 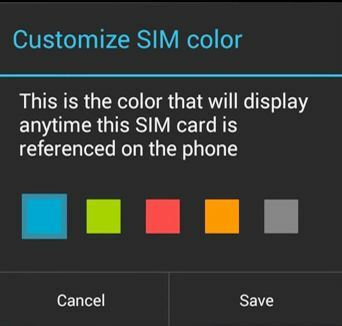 You can choose icon colors for each SIM card, choose the SIM card used for mobile data. Please note, only one SIM card can be used for 3G. The other one can only be on 2G. If you are using one SIM card, you can ignore all setting here. 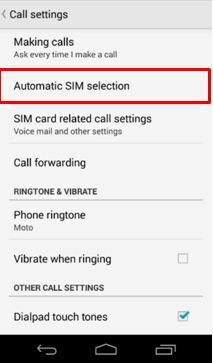 The settings here are only relevant to owners who are using two SIM cards on the Moto G.
How to get rid of the Moto G SIM card selection when making a call? By default, when you dial a number, you will be asked for the SIM card to be used for that call. This is useful if you want to use different SIM cards for different numbers, and you need switch them frequently. However, this can be annoying when you mainly use only one of the SIM cards for outgoing calls. let you select each time (this is the default setting). How to use Moto G automatic SIM selection?